When you’re looking for a new dentist its hard to know where to begin. Your dental health is such an important part of your overall health, so its important to find a dental home. Having a dental home will help you to feel comfortable when you go for your checkups and will give you a place to go to that you trust if you have a dental emergency. In this Tooth Talk I will discuss how to find a dental home. • Is the location of the office convenient for you to get to from home and work? • Do they have parking availability? • Do they have convenient office hours? • Is the dentist in network with the insurance plan you have? • Do you have to wait longer than a week for an appointment? • If you need a translator will they have a staff member available for translation? • Is the dental staff friendly and professional? • How does the dentist interact with you and staff? Are they friendly and appear knowledgeable? To find the right dentist, don’t be afraid to call or visit the dentist on your list before deciding if this is the right dentist for you. 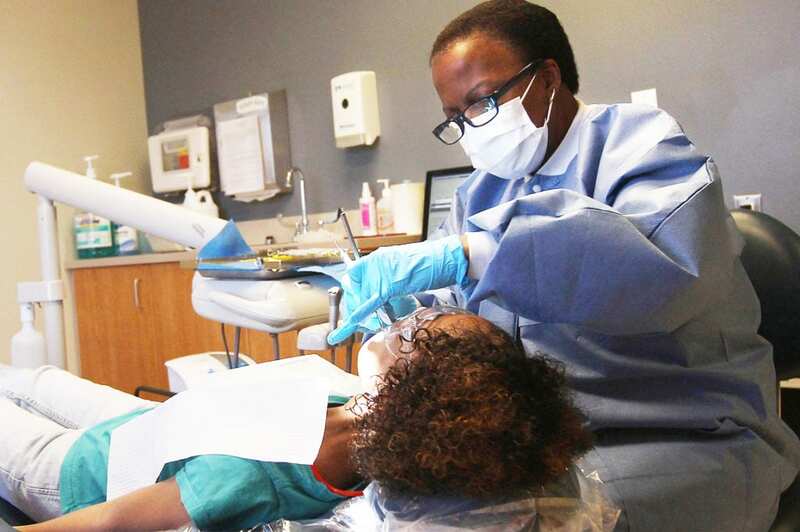 Schedule an appointment for a consultation so that you can meet the dentist and staff and get some of your questions answered as well as bring your dental records so that the dentist can look at your dental history. This is a way for you to see the office and meet the staff to see if you feel comfortable with them being your new dental home.